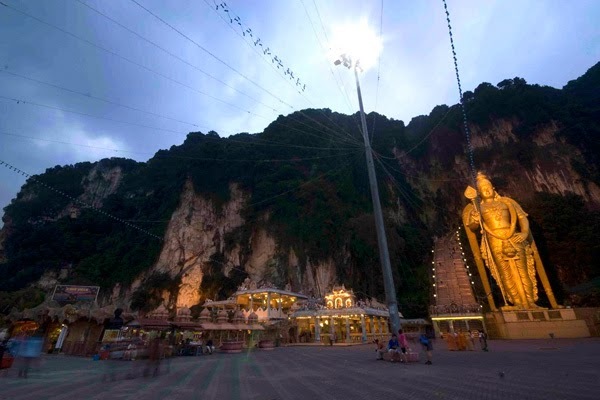 If you are holidaying in Kuala Lumpur, you may want to consider a day trip to the fascinating site of the Batu Caves. 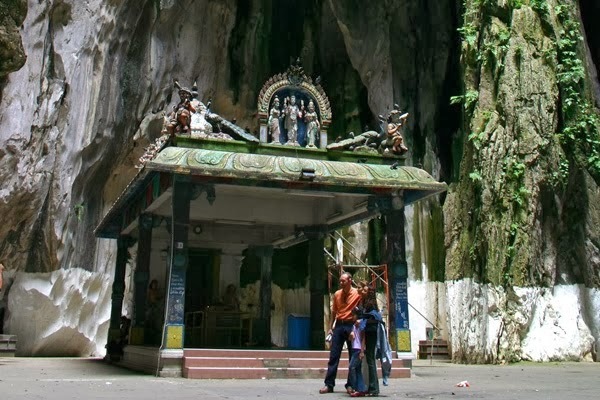 These caves lie on the outskirts of Kuala Lumpur, amongst a cluster of limestone hills and are easily accessible via a 45-minute drive from the heart of the city. 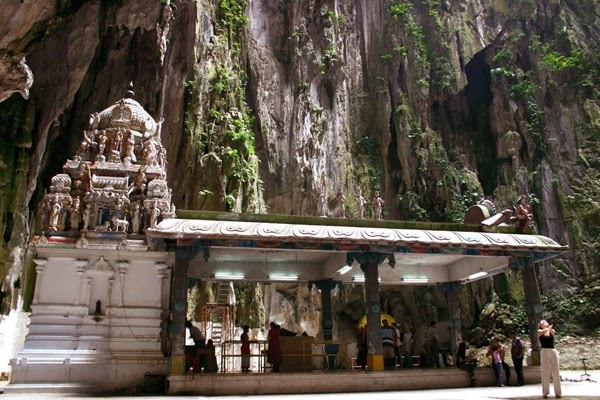 The caves and the temples that they encompass, in fact constitute an important Hindu religious site for they serve as the termination point for the famed Thaipussam procession that sets out from KL’s Sri Mahamariamman temple in January each year. The focus of this procession is usually the lofty, glittering statue of Lord Murugan, the Hindu god of war, which stands sentinel over the stairway of 272 steps leading to the entrance of the caves. The Batu cave system encloses three main grottos, the Temple Cave, the Dark Cave and the Art Gallery Cave. The Temple cave is the largest of the three caves and features tall ceilings soaring to a height of above 300 feet. Various Hindu shrines are housed within the Temple cave. The Dark cave located under the Temple cave, is famed for its karst formations, which host various endangered species like the Trapdoor spider. It must be mentioned that a special tour needs to be booked to explore the Dark cave and the trip is quite arduous, as it requires much crawling in tight spaces and this exploration not recommended for folks who are claustrophobic or not physically fit. The Art Gallery cave is located opposite the Temple cave and presents an interesting sight, adorned as it is with carvings and paintings of Hindu legends and deities. The caves aside from providing sight-seeing opportunities, also offer much scope for rock-climbing enthusiasts, for the limestone hills around the caves encompass approximately 170 bolted routes catering to climbers of all levels and skills. The caves are open daily from 7am to 7pm and offer free access to the general public.